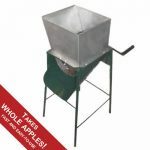 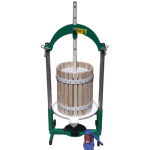 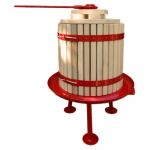 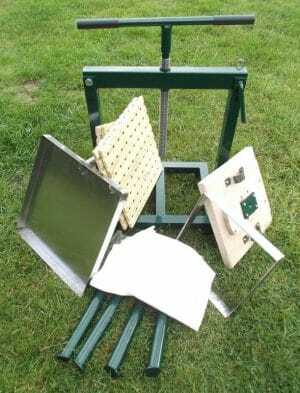 This traditional style of cider press is the quickest method for juicing apples. 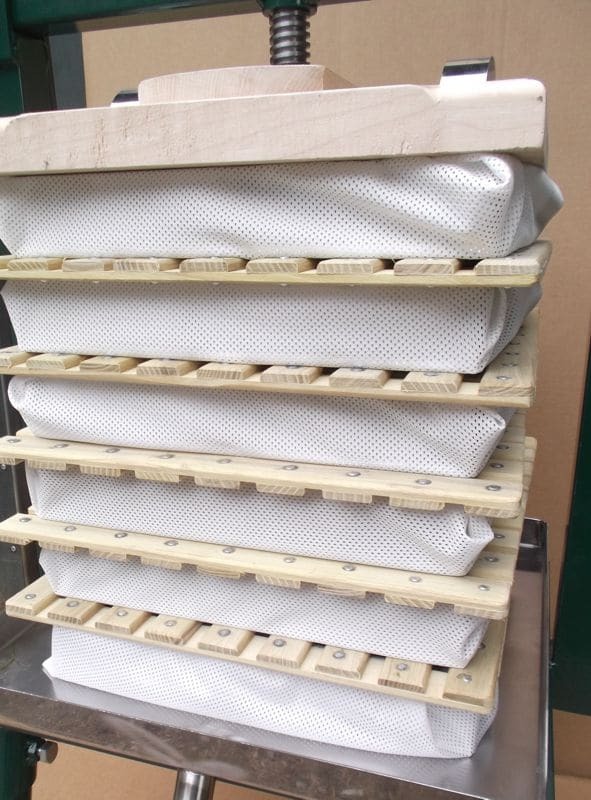 Apple pulp is shaped on a cloth by a frame, wrapped up in the cloth and then stacked one on top of the other, with each ‘cheese’ separated by a wooden rack. These racks enable the juice to run out quickly. 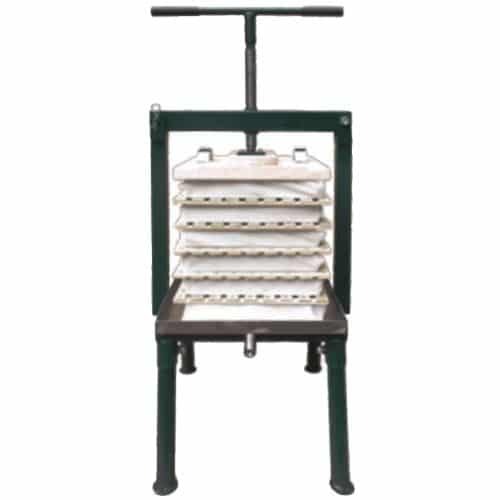 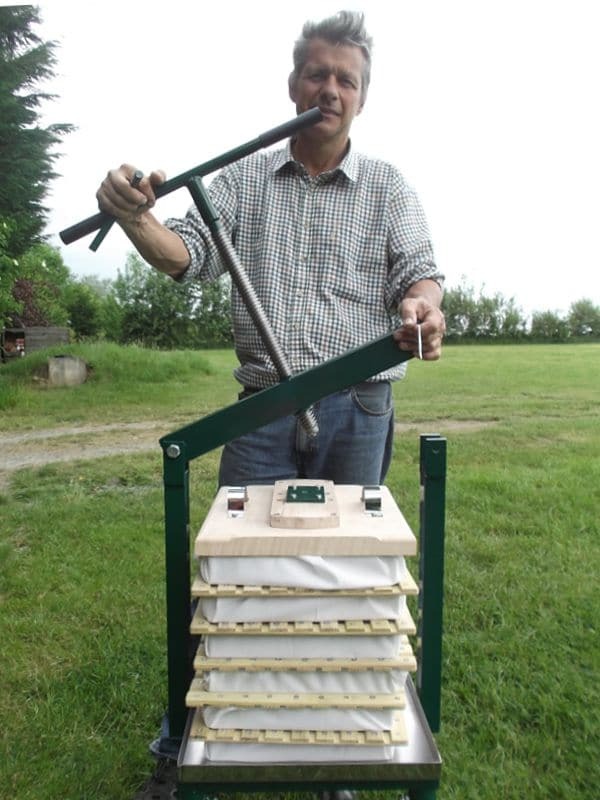 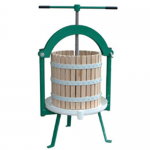 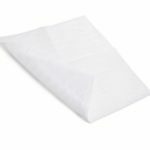 Although the pressing is fast, building the ‘cheeses’ involves more preparation compared to a basket press, so this press is ideal for a community orchard, group of family/friends or small-scale commercial use.